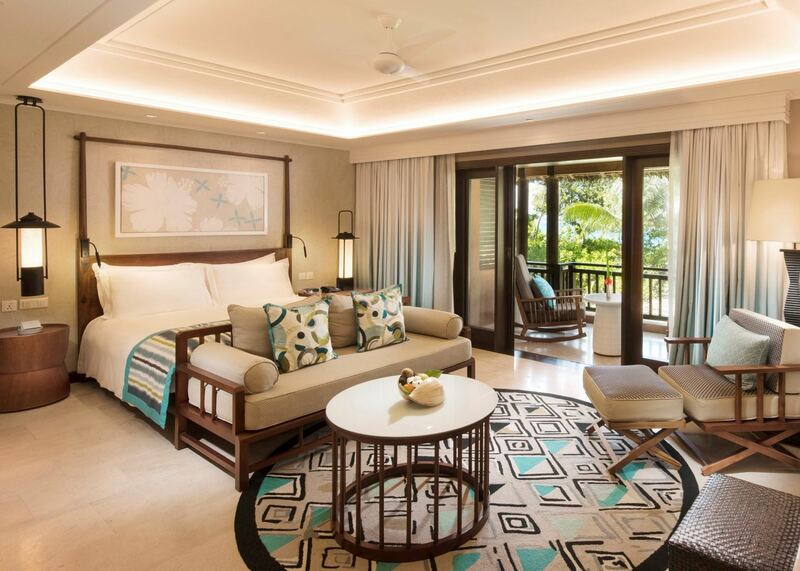 The Constance Lemuria has been beautifully designed and provides every luxury. It sits above a lovely set of beaches and is ideal if you want a beach holiday with all the creature comforts and more. 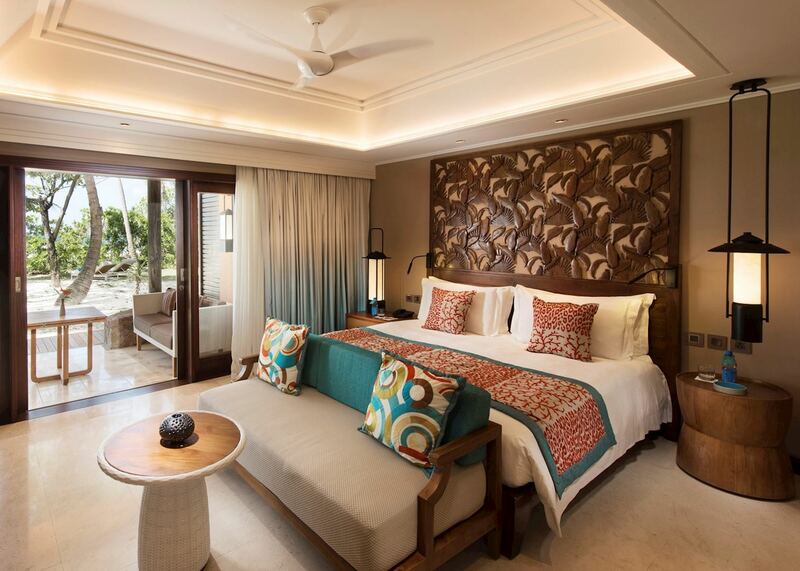 On the northwest coast of Praslin, Constance Lemuria is a luxury 5-star resort. It is situated above the Anse Kerlan cluster of beaches where turtles lay their eggs and the sand is soft and white. The beaches are sheltered and water calm and it is ideal for swimming and snorkelling. The hotel itself has been carefully designed and 105 suites blend into the surrounding vegetation. 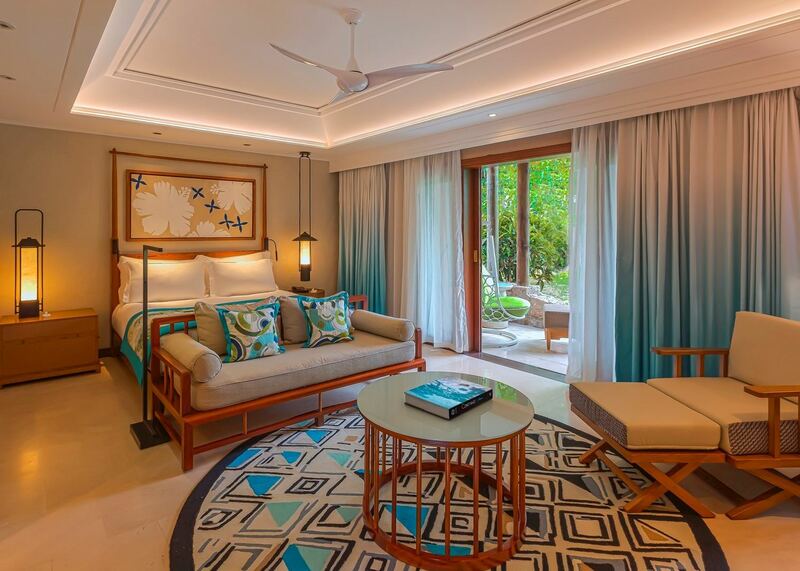 Each suite has a wide veranda and all are sea-facing, although there is vegetation which stops a full sea view. The beach is a mere ten metres or so away across the lawn. Inside the rooms are spacious and stylish with lots of good attention to detail. As you would expect from a 5-star resort there are several dining options. There are three restaurants, all specialising in differing cuisine and located in the main hotel, above the beach and overlooking the golf course. Seafood is particularly good at the resort and you can expect to enjoy some of the freshest fish and shellfish cooked to perfection. 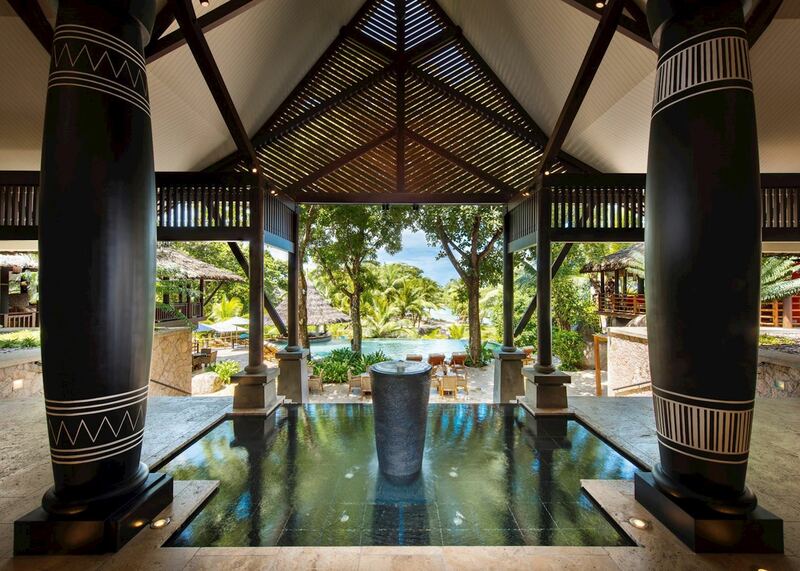 Whether you are looking for lots of activities or relaxation and pampering Constance Lemuria won't disappoint. There is an 18-hole golf course and plenty of non-motorised watersports to enjoy. To relax you could choose to enjoy some treatments in the spa or perhaps just snooze on the beach with a book. 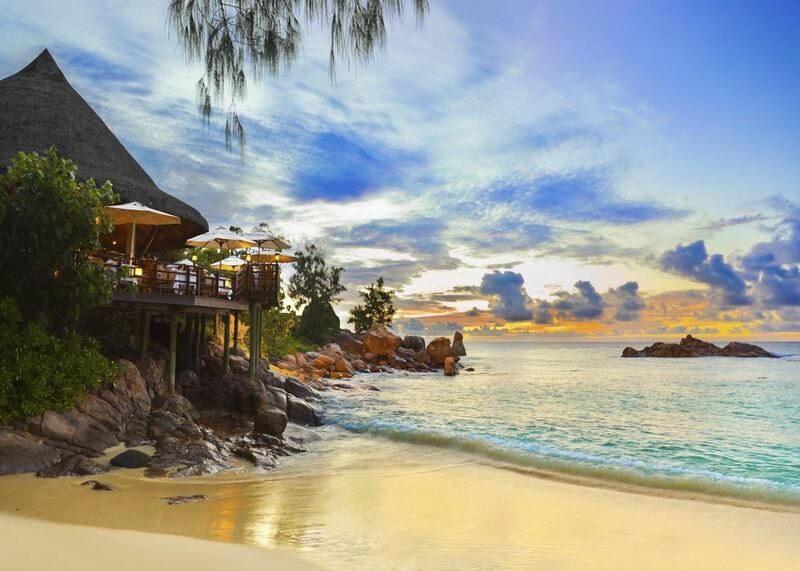 of our Seychelles clients would recommend us to a friend. Acajou Beach resort is located on the beautiful Cote D’Or Beach, looking out towards the tiny islands of Chauve Souris and St Pierre. L'Archipel is elegant, peaceful and refined. 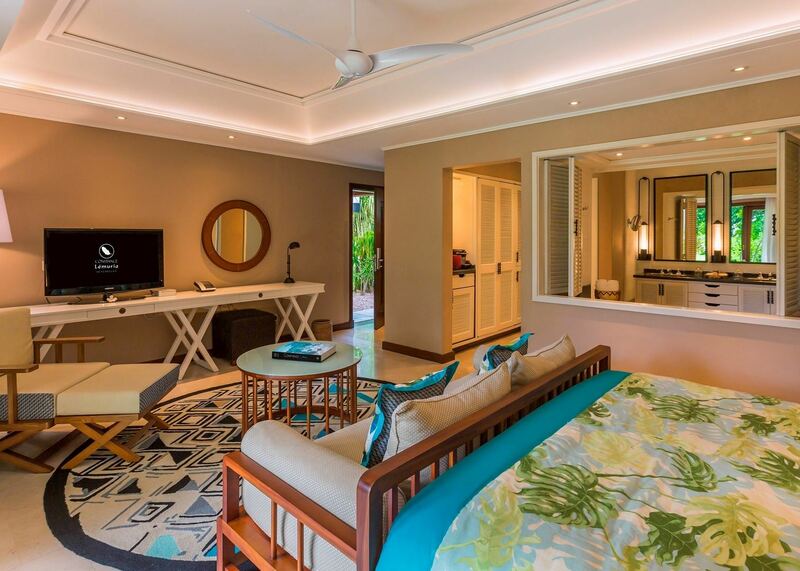 It has a superb setting and is one of our top properties on Praslin. Les Villas D'Or offers 10 self catering apartments set on the beautiful Cote D'Or beach on Praslin. The Paradise Sun is a boutique hotel located at the end of Cote D’or Beach. 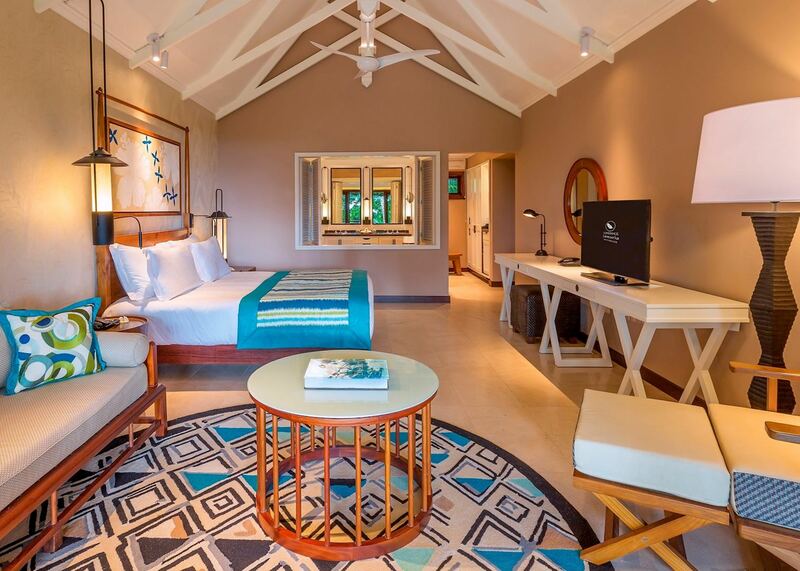 The rooms are modern and stylish and there are plenty of things to do ,including diving and snorkeling. Island-hop around Praslin’s outlying islands on this relaxed catamaran cruise. Snorkel off the coast of Felicite or Coco Island, enjoy a barbecued lunch and stroll along Grand Soeur’s boulder-flanked beaches. 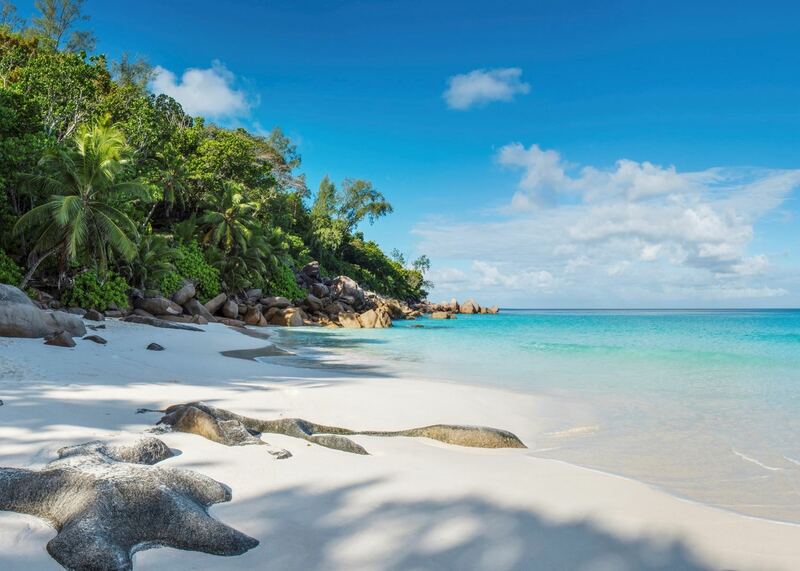 Spend a day exploring Praslin with a private guide, who can introduce you to the towering coco de mer palms in the Vallée de Mai, and lead you to Anse Lazio Beach for a leisurely afternoon of snorkeling and swimming.